The Voting has commenced at 7 am in most polling booth with delay in some booth due to technical issues and the initial response seems to be good with around 10% voting by 9 AM. 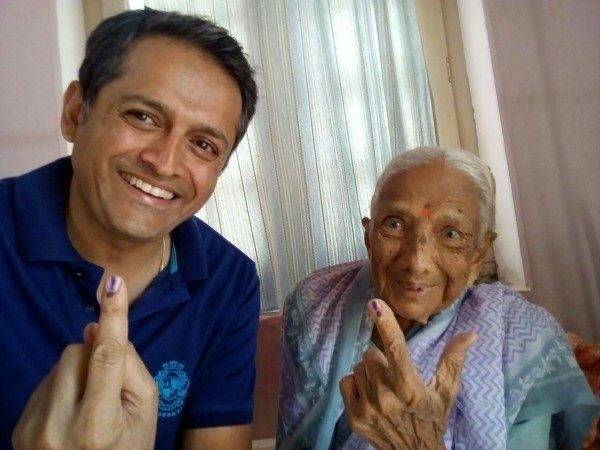 97 year old Sushila Shantappanna Miraji posing for a photo after voting with her grandson Nitin. There were also complaints of names missing from the voters list of persons who had voted last time. Some could not find their names and some found it in other booths. Previous articleA Voters’ 6 Point Manifesto..!! !